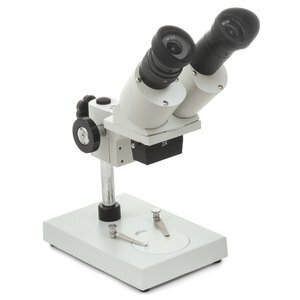 ST-series ST-B-P Stereo Microscope features a 45°inclined binocular head. The magnification may be changed using different objectives between 5X and 120X for different applications. Diopter adjustment of range ± 5 mm. The interpupillary distance adjustable between 55-75 mm. ST-series ST-B-P Stereo Microscope — 1 pc.